How to make coffee at home as good as you get in coffee shops. How to make coffee, starting with gourmet coffee beans. If you want to learn how to make coffee, it's not complicated. But there are a number of factors you should be aware of. First, let's look at how to make coffee with the most popular of all coffee makers - the drip brewer. “Good” can be a subjective term as everyone’s tastes and preferences differ. But if, for instance, you like a medium roasted Colombian blend, buy quality beans from a reputable supplier. In one regard, making gourmet coffee is the same as making a fine dinner. You'll never achieve a quality result unless you start with quality ingredients. With coffee, that means starting with first class coffee beans. 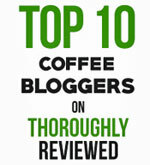 We have a page which lists companies that sell quality coffees online. 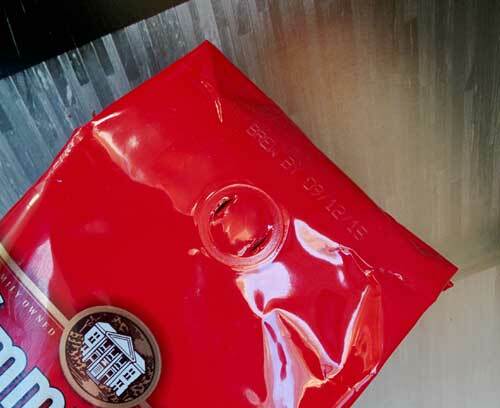 Make sure the coffee bags you buy have a one-way valve, like you see in this photo. From the moment they come out of the roaster, coffee beans start to lose the subtleties of their flavors. The problem is exposure to air. So don’t buy from self-serve bins. Buy your coffee beans in an airtight bag. And look for bags which have a small, one-way valve. Why do they have a valve? Because when beans come out of the roaster they “gas off”. If you put fresh roasted beans into a bag and seal it, the gases would build up in the bag and it would tear or explode. So quality coffee suppliers put the beans in bags with these one-way valves. The valve allows the gases from inside to get out of the bag, but it doesn’t allow any air into the bag. These valves allow roasters to put beans into sealed bags as soon as possible after they have cooled down from the roasting process. 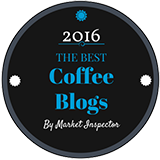 You can find out more about finding the freshest coffee beans here. 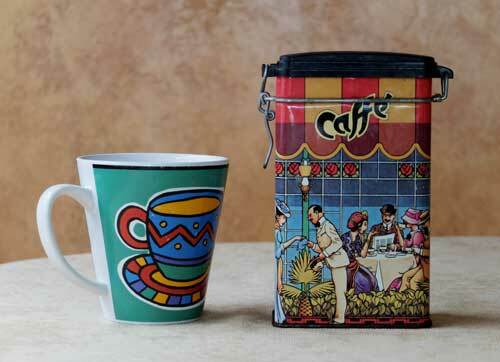 Store your coffee in an air-tight container. When you open the bag, transfer the beans into an airtight container of some kind, and then grind only as many beans as you need for each brew. It’s tempting to grind enough for a few days. But if you do, the ground coffee will lose some of its flavor. As soon as coffee comes into contact with air, some of its volatile oils begin to evaporate. And those oils contain much of the flavor of the coffee bean. And if you do buy beans in a bag from a bin at the supermarket, do the same - immediately pour them into an air-tight container. 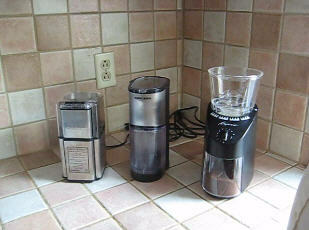 Use a good coffee grinder, like the Capresso burr grinder on the right. Buy a coffee grinder that allows you to vary the coarseness of the coffee grinds. The grind should suit the coffee brewer you are using. Using the correct grind is a key element in how to make coffee you’ll really enjoy. 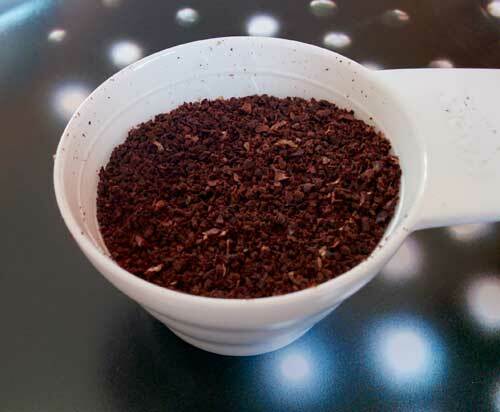 A Coarse Grind: This coffee grind is fairly large, suitable for French Presses and percolators. Medium Grind: An all-purpose grind, suitable for most drip type brewers. Fine Grind: This is the grind you would want for espresso. You can buy the Capresso Infinity Burr Grinder in the photo above at Amazon.com. Read our page about the various different types of coffee grinders. Coffee is 98% water, and bad water can make a difference to the taste. There’s little point in learning how to make coffee, and investing in good beans and a coffee maker, if the final taste is spoiled by poor water. If you have good tap water, that’s fine. But if you don’t, try filtering the water before you brew. Or, for those of us with terrible tasting water, use bottled water. Use the right proportion of coffee grinds to water. Measure your coffee with a coffee scoop or a set of scales. For every 6 ounces of water, you need 2 level tablespoons or 1 standard coffee measure of ground coffee. 6 ounces will give you a cup of coffee, but not a mug. If you are making a mug of coffee, that's more like 8 ounces, and you'll want to use 2 ½ to 3 level tablespoons of ground coffee. Tip: When in doubt, always add a little more ground coffee. The number one reason for coffee tasting disappointing is because you used too much water and too little ground coffee. In other words, the coffee is too weak. If you are brewing enough for four mugs of coffee, simply multiply the amount of ground coffee you need by four. And so on. Again, most machines will set the water temperature for you. But when you use a French Press, you’ll be boiling the water yourself. Don’t use boiling water. First, boil the water and then let it cool for a minute or two. The best temperature for making coffee is just a little below boiling point. These are just the fundamentals of how to make coffee. There's plenty more to learn. But if you get these right, you'll be making a better brew than most people. For the best coffee, time the brewing cycle. 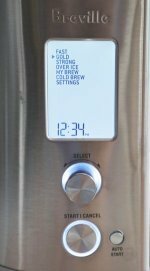 With drip brewers you don’t have control over the brewing time. But you do with a French Press. Different experts suggest different times. But somewhere between 3 and 5 minutes should do the trick. Something to watch for is that older drip brewers or single serve brewers may begin to take longer and longer to complete the brew. This may be due to clogged tubes or failing pumps. But when it take 10 minutes or more to complete the brew, you'll not be getting the best taste. First, try descaling your brewer. If that doesn't work, it may be time to get a new machine. 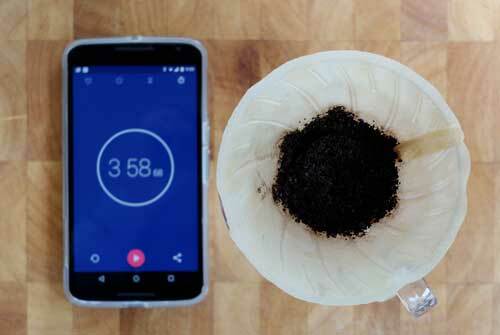 Make a better brew by grinding your coffee a little coarser. What exactly is French roast coffee?